One of the best ways to save money when you purchase a vehicle is by trading in your old one. Here’s some even better news: Porsche of New Orleans always gives you top dollar when you trade in your vehicle. In many cases, our dealership will even purchase your car even if you don’t buy one of ours. If you are located near Marrero or Harvey – just bring your vehicle to our convenient location at 3700 N. Causeway Blvd, Metairie, LA 70002. We have appraisers on site that will make you a cash offer for your vehicle and can show you how much you could save on another vehicle if you trade it in. You can even fill out our online trade-in appraisal form to get an instant offer on your vehicle from Porsche of New Orleans. No matter which method you choose, you can be sure that you’ll get our best offer regardless of the mileage or condition of your vehicle. One of the primary benefits of knowing the trade-in value of your car is that it can help eliminate the need for a down payment if you are ready to get into another vehicle. Additionally, the trade value of your vehicle can help lower the overall price and monthly payment of getting into another car. There’s also a convenience factor involved when trading in your vehicle at our dealership. Rather than having to wait for an individual buyer to purchase your car in a private transaction, we can take it off your hands immediately. This saves you time and the effort of having to list it for sale on various online sites. If you find yourself asking the question, “how much is my car worth?” you can get a quick trade value online or at our dealership located at 3700 N. Causeway Blvd, Metairie, LA 70002. We appraise hundreds of vehicles every day and are the experts when it comes to making sure you get the most money for your trade. Due to the fact that our dealership sells so many new vehicles, we can offer values that independent dealers can’t even come close to. We also can provide many great lease specials and finance specials if you are ready to get your next vehicle. We make it incredibly easy to value your trade with our online trade-in appraisal form. All we need is a little bit of information and you’ll have the data you need to make a smart decision. Porsche of New Orleans also invites you to come to our dealership and have your trade-in evaluated on site. This will allow us to answer any questions you might have and give you a chance to shop our great selection of new and used vehicles while you are here. Whichever method you choose, count on a fast, easy process from start to finish at Porsche of New Orleans. 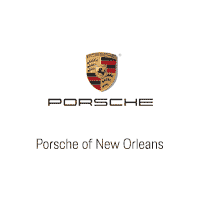 By submitting this form you agree to be contacted by a Porsche of New Orleans staff member.